MURRAY: War on coal escalates – Washington Times. Faced with rising gas prices, President Obama recently outlined what he calls an “all-of-the-above” energy policy “that develops every available source of American energy – oil, gas, wind, solar, nuclear, biofuels and more.” You may notice something missing there – coal, America’s most abundant and affordable fuel source. The administration’s “all of the above” strategy is anything but. This shouldn’t be surprising. In 2008, then-candidate Barack Obama said that as president, he would pursue a “cap-and-trade” program to make electricity rates “necessarily skyrocket” and “bankrupt” builders of new coal power plants. He has never recanted those words. Yet America runs on coal. We have the world’s largest coal reserves – we’re the Saudi Arabia of coal. Coal fuels nearly 40 percent of U.S. electric power generation. New coal plants typically have lower overall costs per megawatt hour than new wind, solar and nuclear power. And all those shiny new electric cars the president is so fond of run primarily on electricity from coal. Mr. Obama’s cap-and-trade program crashed on a shoal of popular hostility. Recognizing that, as he put it, he had to find another way of “skinning the cat,” the president decided to circumvent Congress by directing regulatory agencies to implement his green agenda. The U.S. Environmental Protection Agency (EPA) found a perfect proxy for coal – the mercury that only coal-fired power plants emit. In December, the EPA issued its 2011 Mercury and Air Toxics Standards (MATS) rule, which imposes stringent new controls on power-plant emissions of mercury, acid gases and other hazardous air pollutants (HAPs). According to the EPA, utilities will have to spend $9.6 billion in 2016 alone to comply. This enormous cost will increase everyone’s power bills. That might make sense if the pollutants subject to the rule posed significant risks to public health. They don’t. The rule is aimed primarily at mercury emissions, but mercury is not a health hazard in the atmosphere. Negative health effects can result when it gets into water and accumulates in the bodies of fish. The argument goes that pregnant women who eat large amounts of such fish pass on the mercury to the children in their wombs, affecting their intelligence. Yet such an effect has only ever been seen in the Faroe Islands, whose inhabitants eat large amounts of whale blubber containing other harmful substances. A study in the Seychelles, where the diet is much more similar to that of Americans who eat large quantities of fish, found no such correlation. Indeed, the EPA has made no attempt to find any American child whose performance at school has suffered as a result of his mother eating fish. Even if you accept the highly suspect idea that mercury emissions affect childhood intelligence, the EPA estimates the rule will reduce IQ loss in the children of subsistence fishing households by about 0.002 IQ points – a purely hypothetical benefit too small to be detected. Nonetheless, the EPA has estimated the MATS rule to have an aggregate annual benefit of $0.5 million to $6 million. Remember that the rule’s annual cost approaches $10 billion. The agency does not even attempt to quantify the health benefits of the rule’s reductions in acid gases and other HAPs, which suggests they are too small to notice. The EPA’s justification for the MATS rule is unconvincing. Last month, Sen. James Inhofe, Oklahoma Republican, introduced a resolution to overturn the MATS rule, following the passage of a similar resolution in the House. If the president is serious about having a real “all-of-the-above” energy policy, he should thank Mr. Inhofe. Iain Murray is a vice president at the Competitive Enterprise Institute. 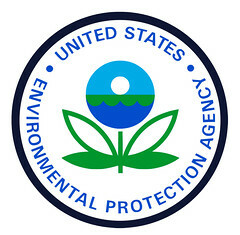 EPA Endangers Human Health and Welfare – American Thinker. Last week, a three-judge panel of the federal District Court of Appeals for the D.C. Circuit heard two days of oral arguments in the lawsuit challenging the Environmental Protection Agency’s regulation of greenhouse gas emissions using the Clean Air Act. The consolidated suit, Coalition for Responsible Regulation vs. EPA, challenges the EPA’s 2009 Endangerment Finding (EF) that greenhouse gas emissions “endanger human health and welfare,” the automobile tailpipe emissions rule, and the “tailoring rule” that exempts smaller stationary emissions sources from being regulated — in contradiction of the explicit language in the 1970 Clean Air Act. The purpose of the original lawsuit, Commonwealth of Mass. vs EPA, was to force the EPA to regulate CO2 as a pollutant from motor-vehicle tailpipe emissions. To overcome the problem of “standing,” Mass. presented an affidavit written by the chief scientist of the Environmental Defense Fund, claiming that putative future warming caused by the greenhouse gas CO2 would lead to extensive flooding of New England coastal regions. There are three things wrong with this claim: one, there is no evidence that an increase in CO2 would lead to appreciable warming; two, there is no evidence that any warming, should it occur, would accelerate ongoing sea-level rise; and three, it would seem improper for the Supreme Court to accept an affidavit from an obviously biased source. Unfortunately, the Department of Justice refused our technical help and did not adequately argue the case. As things stand now, the Appeals Court may render a decision in June 2012. There’s a possibility that either party may ask the full Court to meet en banc. But if the Court turns down the request, there is bound to be an appeal to bring the case before the Supreme Court. There are many problems with the EPA’s Endangerment Finding. Some are administrative and some are legal, but there are also very basic scientific problems. Administratively, the EPA was required to submit its EF to its Scientific Advisory Board (SAB); it failed to do that, and this may make the current EF invalid. As reported by the EPA’s inspector general, the EPA also failed to carry out an independent analysis of the underlying science. Instead, the EPA relied on three external reports that were all biased in the same direction: the flawed IPCC report of 2007, reports of the U.S. Climate Change Science Program, and a later report of the National Academy of Sciences. The trouble is that these three reports are not independent evaluations of the available scientific evidence; they involved pretty much the same scientists, just wearing different hats. The EPA made no attempt to obtain any contrary analysis of the science or to carry out its own, presumably unbiased analysis. Under the terms of the CAA, the EPA is not required to consider the cost and other negative consequences of its proposed regulations. Nevertheless, it is fairly obvious that these will drastically raise the cost of energy, including also the cost of heating and air-conditioning — with grave impacts upon the health and welfare of low-income groups in the population. There are also many legal problems with the EF. Once CO2 becomes a “criteria pollutant,” then under the terms of the Clean Air Act, the EPA must set a National Ambient Air Quality Standard (NAAQS) — as it did for each of the six current criteria pollutants. After all, it is the NAAQS that is relevant to human health and welfare and defines a true pollutant; limitations on emissions are simply a means to achieve a critical legal NAAQS. In the case of CO2, however, this is clearly impossible. No amount of EPA regulation of U.S. emitting sources, whether cars, power stations, etc., can achieve a targeted NAAQS without the cooperation of the rest of the world, and principally China. Nor can the EPA even define a target NAAQS for CO2. A second legal problem has to do with the actual regulation of CO2 emitters. Under the Clean Air Act, the EPA is required to deal with every source that emits more than 100 or 250 tons of a pollutant a year. In the case of CO2, this would involve millions of sources, including apartment buildings, hospitals, etc. Realizing the impossibility of dealing with so many sources, the EPA has issued a “Tailoring Rule,” which arbitrarily limits attention only to sources of more than 100,000 tons per year. But the TR is not established by law; Congress would have to amend the CAA to permit the EPA to carry out its plan. To summarize, the core legal issues can be thought of as a series: 1) does the 2007 Supreme Court decision require an EF to regulate motor-vehicle emissions, 2) do such regulations then require also regulation of stationary sources (EPA’s goal), 3) is the EPA’s tailoring of the regulations to only large emitters permitted under the law, and 4) does strict application of the law lead to absurd results? But the main objection to the EF — and the one that we have concentrated on — is the EPA’s so-called “evidence” that a rise in CO2 will have a noticeable impact on global climate. In fact, since we filed the objection to the EF and TSD and agreed to become a co-plaintiff in the lawsuit, the scientific evidence has moved even farther in our favor. We feel more sure now that the continuing increase in CO2 has caused no appreciable warming in the crucial interval 1978-1997 — contradicting all climate-model results. There has been no observed warming trend of Earth’s atmosphere, either — which atmospheric theory predicts should have been about double that of the surface. There has been no observed warming trend in the oceans, and most of the geological, non-thermometer (“proxy”) data we have studied show no warming in recent decades. Nevertheless, in spite of the many objections to the EF, it is still possible that the courts will defer to the EPA and permit regulation of CO2 to proceed. It would be a great economic calamity if this were to happen. It would also be a severe blow to the rational use of science in public policy-making. S. Fred Singer is professor emeritus at the University of Virginia and director of the Science & Environmental Policy Project. His specialty is atmospheric and space physics. An expert in remote sensing and satellites, he served as the founding director of the US Weather Satellite Service and, more recently, as vice chair of the US National Advisory Committee on Oceans & Atmosphere. He is a senior fellow of the Heartland Institute and the Independent Institute. In 2007, he founded and chaired NIPCC (Nongovernmental International Panel on Climate Change). For recent writings see http://www.americanthinker.com/s_fred_singer/ and also Google Scholar. MILLOY: EPA’s statistics not science, but nonsense – Washington Times. The Chinese city of Xi’an has some of the worst air quality in the world. Yet its air is significantly safer than the air in U.S. cities, according to a new study. If you have trouble believing that, then you ought to have trouble believing Obama Environmental Protection Agency (EPA) claims that U.S. ambient air quality is killing tens, if not hundreds of thousands of people per year. Chinese researchers compared data on air pollution and death rates in Xi’an from 2004 to 2008. In 2006, the World Health Organization ranked Xi’an as having the second-worst air pollution in Asia, which means the second worst in the world. The Chinese just published their findings in the U.S. government journal Environmental Health Perspectives. Using the same sort of data and statistical analysis employed by EPA-funded air quality researchers, the Chinese researchers reported having statistically correlated every 10 microgram-per-cubic-meter’s worth of fine particulate matter (soot) in Xi’an’s air with a 0.2 percent increase in the city’s death rate. While that sounds like a result in the statistically insignificant range – and it is – we’re going to overlook that normally fatal flaw and, instead, momentarily embrace the result so that we can compare it with what EPA-funded researchers claim about U.S. cities. In a 2009 study of 112 U.S. cities, EPA-funded researchers reported that every 10 microgram-per-cubic-meter’s worth of fine particulate matter correlated with about a 1.0 percent increase in death rate. Once again this is, in reality, statistical noise. But in the fantasy world of EPA air quality science it is five times greater than what Chinese researchers reported from the second dirtiest-city in the world. But there’s more. Just how dirty is the air in Xi’an? As measured by the Chinese researchers, the air in Xi’an is, on average, 9 to 10 times more polluted in terms of fine particulate matter than the two most polluted cities in the 112-city study. That dirty Chinese air, according to EPA scientific practice, is safer than U.S. air by a factor of five. This is shocking. If air pollution really were deadly, one would expect to see this phenomena operating in high gear in the respiratory horror story that Xi’an should be. Leaving the fantasy land of EPA air quality science and returning to the real world, clean U.S. air is axiomatically not more dangerous than filthy Chinese air and so some sort of explanation of these results is required. The scientific and medical reality is that ambient air pollution – even as grimy, stinky, eye-watering and ugly as it is in China – does not kill or hasten death. Fine particulate matter was such a public health problem, in fact, that no one knew about it until EPA-funded researchers invented it in 1993 – 30 years after the Clean Air Act was enacted. Since the Clinton administration, the agency has been using its invention to impose billions and billions of dollars of costs on our economy in return for the entirely imaginary benefit of tens of thousands of lives saved annually. All this is of much more than mere academic interest given that it is this very sort of EPA junk science that underlies two new agency rules from 2011: July’s Cross State Air Pollution Rule (CSAPR) and December’s Mercury and Air Toxics Standard (MATS) rule. Both rules aim to reduce emissions from the coal-fired power plants that provide about 45 percent of the nation’s electricity. But as the Chinese study shows, the EPA’s scientific claims and, by extension, its benefits claims about fine particulate matter ought to be very much open to question. Against these phantom benefits are the very real costs of the CSAPR and MATS rules, amounting to tens of billions of dollars in utility compliance costs, lost jobs and higher energy prices. There’s also the prospect that coal plant shutdowns will reduce electricity reliability and lead to brownouts during heat waves. Directly challenging the EPA on its fine particulate matter claims has been difficult as the agency has secured the key data in the hands of private university academics, who are out of congressional and Freedom of Information Act reach. The EPA is currently stonewalling an effort by Rep. Andy Harris, Maryland Republican, of the House Science Committee, to obtain the data in question. The only good news in all this so far is that on Dec. 30, the U.S. Court of Appeals for the District of Columbia Circuit took the unusual step of staying the CSAPR rule pending its appeal. With any luck, a similar fate will befall MATS and a new, non-Obama EPA would then get to reconsider the rules in 2013. Meanwhile, the Chinese data ought to embolden the 112th Congress’ unprecedented efforts to rein in the out-of-control EPA and its junk science. Dump the EPA – Katie Kieffer – Townhall Conservative. The government approved the faulty seal and granted BP a “categorical exemption” from performing an environmental impact analysis on its Gulf of Mexico lease less than two weeks before the spill. Who are the “criminals” here? BP executives or the environmental regulators who governed BP? MILLOY: EPA chief’s toxic emissions – Washington Times. This is patently false, of course, as emissions from U.S. coal-fired power plants are quite heavily regulated. Those emissions controls are the reason U.S. air is clean and safe and why, say, the air in regulation-free China is not. As West Virginia’s Republican Rep. David B. McKinley pointed out, to the extent that the coal industry is “on life support,” it is Ms. Jackson’s EPA and the rest of the Obama administration that has put it there with a slew of proposed and finalized anti-coal regulations. But there is no scientific or medical evidence to support this statement – not now or even when the EPA was organized and the Clean Air Act was amended to its current form in 1970. Akin to shouting “Fire!” in a crowded theater, her inflammatory rhetoric actually serves to undermine all the efforts put forth and money spent by government and industry to clean the air the past 40 years. In an Oct. 21 Los Angeles Times op-ed, Ms. Jackson essentially accused congressional Republicans of attempting to kill Americans. But the bills the House GOP has passed would do nothing more than delay a few proposed and recently issued EPA regulations pending a cost-benefit analysis, including input from other federal agencies. Long-standing, pre-Obama administration emissions standards would remain in effect without any changes. The good news is that there aren’t such neighborhoods. In fact, there is no American adult or child whose health is compromised by ambient air quality. Yet reality doesn’t temper Ms. Jackson’s vitriol. But last year, about 570,000 people died from cancer amid a death toll of about 2.2 million. So Ms. Jackson is misleading Congress into thinking that 25 percent of deaths in America are caused by air pollution. The real toll from ambient air, however, is zero – and there is no scientific or medical evidence to the contrary. All this shrillness is a sign that Ms. Jackson is feeling tremendous political pressure from her efforts to use junk science to shut down the American economy. She has overreacted by borrowing from the playbook of Clinton EPA administrator and former Obama environment and energy czar Carol M. Browner, who ran roughshod not only over congressional Republicans but also over Al Gore in ramming through costly air-pollution regulations in 1997. Whatever the reason, however, Ms. Jackson’s nonsensical Earth First!-like scaremongering is hardly befitting of a responsible senior government official who is in charge of a supposedly independent agency that regulates much of the nation’s economy. Ms. Jackson wants to be unaccountable for her actions and is trying to intimidate her critics into silence and resignation with flagrant falsehoods. An EPA administrator whose rhetoric is as apocalyptic as that of the most strident environmental extremists – and whose agenda matches – isn’t serving the public. At a time when it is more important than ever to avoid damaging the economy, Ms. Jackson’s actions prove she isn’t fit to serve. The EPA Gets Caught in a Big Fat Lie – Tea Party Nation. The notion that the Environmental Protection Agency uses “science” to justify their regulations is false, just like most of the claims they issue on various aspects of the nation’s environment. Their favorite scam is to estimate the number of deaths they will prevent with some new draconian regulation. The EPA is the American equivalent of the Gestapo, a ruthless enforcement agency with a very Green agenda that is opposed to the use of many beneficial chemicals, every form of energy, and the right of people to be left alone. At the top of its list of priorities is the destruction of the nation’s economy with special attention to all forms of energy production. Manufacturing anything comes next, followed by afflicting the nation’s vast agricultural sector. The EPA insists that dust is a pollutant. You can’t farm without generating DUST. To understand the threat the EPA poses it is necessary to understand that proposed Clean Air regulations are based on the claim that “global warming” is real, is happening, and is caused primarily by carbon dioxide (CO2). The claim is utterly without any scientific merit.. There is NO global warming. At least not the kind Al Gore lies about. The North and South Poles are not melting; they gain and lose ice in a perfectly natural cycle that has been going on for billions of years. The polar bears are not disappearing. Drilling for oil in ANWR will have zero effect on the caribou. Et cetera! With our vast reserves of coal and natural gas, the U.S. does not lack for the ability to generate electricity or to refine oil for transportation. If you want to stay warm this winter, you better hope that utilities keep producing the electricity for your home or apartment’s heating system. Fifty percent of that electricity is produced by cheap, abundant coal and the EPA is hell bent to shut down as many coal mines as possible, leading in turn to the shutdown of utilities that burn coal. Natural gas accounts for just over twenty-four percent of electricity generation and it need hardly be said that the EPA is wary of fracking, the technology to access it. Simply stated, without CO2 all life on Earth dies. It is a gas that plants use for their growth. From a blade of grass to a giant redwood, all depend on CO2, as do all the crops grown coast to coast. Enormous quantities of corn and wheat are grown that contribute to the U.S. economy, feeding both livestock and humans in wondrous ways. Take away vegetation and the animals die. Take away the animals that grace our dinner plates and we die. Absurdly, the EPA says it is a “pollutant”, a dangerous hazard to our health. No, the most dangerous hazard to our health is the EPA. The EPA insists on ignoring all the other natural sources of CO2 as well as the fact that it constitutes less than one percent, 0.038 percent of the atmosphere. The oceans of the world gather it, store it, and release it. The EPA, though, says that when man is involved, it is pure evil. Mind you, every human exhales about six pounds of CO2 every day. The fact is that the air Americans inhale daily is clean is due to the agency’s early efforts to mitigate some abuses. Those were the days before the EPA abandoned a rational, fact-based approach to its stated objectives. One of its legacies is the idiotic required inclusion of ethanol in every gallon of gasoline. Made from corn, it actually produces more CO2 to produce and use. The EPA effort to regulate CO2 came along with the invention of the global warming hoax that claimed CO2 was “trapping” the Earth’s heat. That is why CO2 and others are deceptively called “greenhouse” gases (GHGs). Manufacturing everything from a donut to megawatts of electricity emits GHGs. Finally, even the EPA’s inspector general blew the whistle on the utterly deceitful way the EPA arrives at its justification for a vast matrix of regulations that has been stifling the economy for years. The IG has charged that the EPA did not meet its own guidelines for peer review to ensure the integrity of the science stated. Anyone who has been following the rise and fall of the global warming hoax knows that “peer review” has become a highly corrupted practice. Real peer review is critical to the integrity of any scientific study. When major science journals abandoned the peer review process to publish gibberish about global warming, they put all other new scientific studies at risk. 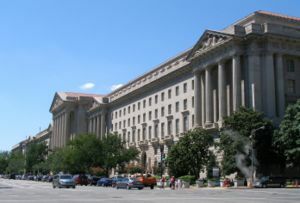 As Marlo Lewis, a senior fellow at the Competitive Enterprise Institute, noted, the EPA’s regulation of CO2 emissions would require “230,000 full-time employees to produce 1.4 billion work hours to address the actual increase in permitting functions” that would result if the EPA is allowed to get away with this scandalous hoax. It would cost an estimated $21 billion per year. By contrast, the EPA’s budget request for fiscal year 2012 is $8.973 billion. The EPA has been short on the truth about all of its claims for four decades and needs to be shut down in order to let a truly science-based agency replace it with strict congressional oversight and limitations. The time is long overdue to pull the plug on the Environmental Protection Agency. Another Obama promise kept, though we wish he didn’t – Tea Party Nation. When Obama was running for President, he promised electricity prices would necessarily skyrocket. The Obama regime is going to impose environmental restrictions that are going to skyrocket the cost of energy and cost up to 1.4 million Americans their jobs. This is the Obama regime’s idea of progress. America’s idea of progress is sending the Obama regime to the unemployment line.